Our branch in Guildford is one of the oldest in the country; we took our first call at 9.42am on Monday 22nd July 1963 and have been providing emotional support to people in Guildford, Woking and Waverley, and across the country, ever since. 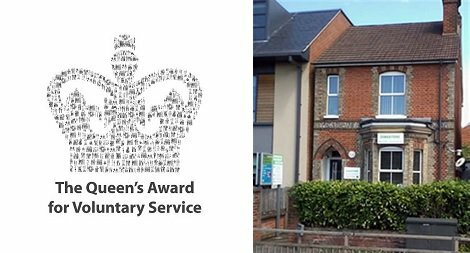 We received the Queen’s Award for Voluntary Service in 2013, 50 years after we opened. Our branch at 69 Woodbridge Road is close to the centre of Guildford and open to visitors every day between 12 and 9pm. You don’t need to make an appointment, and you will be able to speak to one of our volunteers in a private, safe, and non-threatening environment. We always welcome new volunteers so if you're interested in becoming a Samaritan we would love to hear from you. Typically, the first step is for you to attend one of our information sessions at our branch in Guildford where you will be able to find out more about us and explore whether Samaritans is right for you. If you decide you would like to volunteer with us, please do stay on for an afternoon session between 1.30pm and 3.30pm on the same day where we will explain more about how to become a Samaritan. Guildford Samaritans is a registered charity (1165037). Guildford Samaritans is a recognised branch of Samaritans.